More and more people choose portable room dividers, due to their versatility and to their advantage of offering solutions for spaces of all sizes and shapes. If you consider purchasing such portable room dividers, here's what you should know about their advantages. Room dividers can help you organize your living space, be it at home or in an office. By using room dividers, you can maximize the effectiveness of each of the delimited areas. Room dividers can isolate certain areas, thus offering you the privacy you want. A portable room divider can do wonders for a loft or a multipurpose area which is both your kitchen and your living room, your living and your office or your living and your supposedly private bedroom. Using room dividers is effective and much cheaper than changing the configuration of your living space. 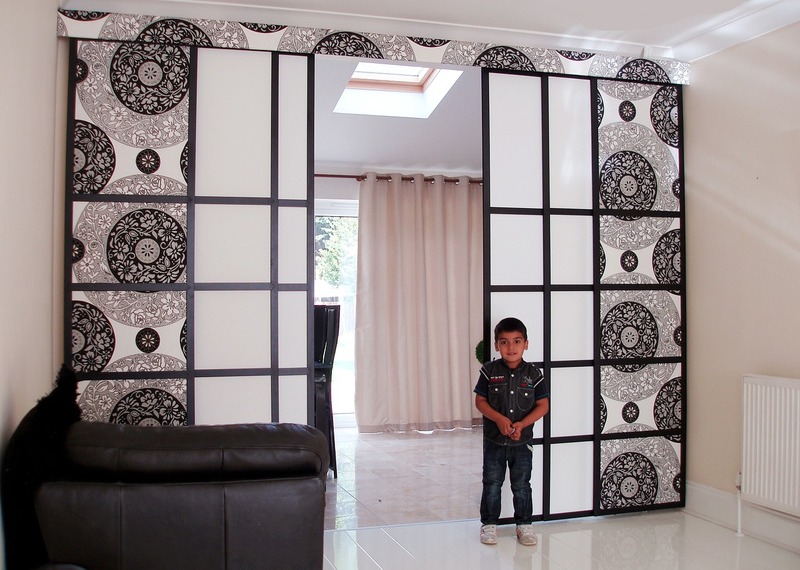 Unlike divider walls, portable room dividers can be changed or moved as needed. Most of them are light, thus being very easy to carry around. If you don't know how you'd like to have your space divided, you can use portable dividers, and move them around until you obtain the effect you are after. Moreover, you can change their positions to suit your different activities throughout the day. Should you decide you don't need dividers anymore, you can store them in a closet, as they take very little room. Building divider walls to break up a room requires hiring a contractor and turning your place into a work site for a while. Room dividers can help you solve this problem much easier, without too much hassle and with less money. In addition, if you want to reassign a new purpose to your old space, you'll only need to change the position of your dividers instead of doing more construction work. Last but not least, if you want to redecorate your room, you can buy new dividers, as they are way less expensive than construction works. Dividing a room by building walls calls for some skills and materials. Depending on your project, you may also need legal approvals and paperwork. By choosing room dividers, the only thing you need to do is to unfold them and place them where you want. Room dividers can be made from a wide range of materials such as wicker, rattan, plastic, wood, metal and textile materials. You can rest assured you're going to find something to match your home decor, no matter what. Even better, some of these room dividers can be painted so you can make them look exactly as you want. You can decorate each side to match the type of space it faces, be it a living, bedroom or office area. Various types of materials have various maintenance requirements. Nonetheless, most dividers are easy to clean and require no special maintenance works. You can clean your room dividers by wiping them with a damp cloth. Just do it during your regular cleaning works, and you're going to enjoy your dividers for a very long time.